From my home in Texas to Florence, Italy is, more or less, a 24-hour journey. When my plane touches down, all I can think about is getting to my hotel for some rest before exploring the city. Sunday morning traffic is light and within a half hour the taxi driver has deposited me at Il Salviatino, a 15th century villa now serving as a 44-room luxury hotel. Inside I am immediately impressed by the architectural detail, artwork and grand staircase. My room is decorated in red and gold, and my views are of Tuscany with its rolling hills and signature spruce trees. Historians suggest the original structure built on this site was a Roman fortress. It makes sense with the hotel’s location high above Florence. The first recorded documents date back to the 14th century when the property was a villa. 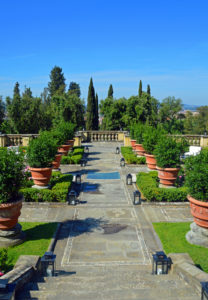 Through the centuries, the villa was refurbished by some of Florence’s elite families, ultimately landing in the hands of the Salviati family in the 16th century. The Salviatis undertook an enormous restoration, adding frescoes and furnishings to create a warm and inviting space for their guests. They officially named Il Salviatino. At the end of the 19th century, American Phelps Thomas purchased the property and hired artist Augusto Bruschi to add decorative works including the beautiful fresco that can still be admired in the Affresco Suite. 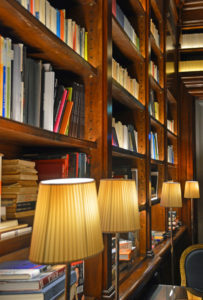 At the turn of the last century, poet, journalist and art critic Ugo Ojetti became the owner and added the library which was visited regularly by celebrities in their fields including Salvador Dalì and Gabriele D’Annunzio. After Ojetti’s death, the villa was passed down to his heirs. During the 70s and 80s, is became Stanford University’s headquarters in Italy. 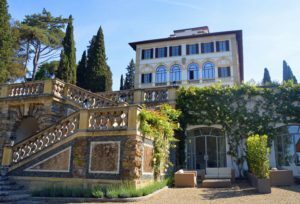 When the university left, the villa sat vacant for 20 years until it was once again renovated to bring back its 19th century splendor and opened as a hotel in 2010. I am entranced by the hotel’s beauty and, after settling in my room, I decide to investigate the public spaces. 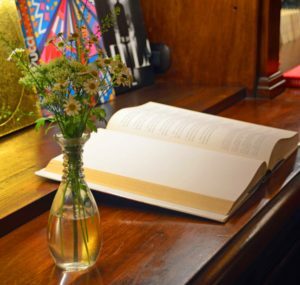 I start with the library and its books focusing on Italian art, history and architecture, museum-quality paintings, and vases filled with flowers grown on the property. I wander into other rooms admiring the attention to detail. 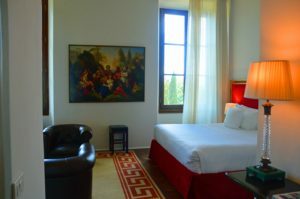 The beautiful furnishings, original vaulted ceilings, terracotta floors remind me of the villa’s rich history. One young man suggests that I take in the view from the terrace, where I will later have dinner, before wandering though the ornate gardens. Laid out before me are the Brunelleschi’s Duomo and the red-roofed buildings of Florence. In closer view are the nearly 12 acres of formal gardens and park. Stairs lead down from the terrace to the formal gardens. From here I followed a footpath to the pool and spa. Soon I will take the shuttle into the heart of Florence. I know there will be swarms of people in the city, but right now I am enjoying the beauty of a centuries-old villa brought back to life; once again welcoming road-weary guests. Disclosure: As is common in the travel industry, Marilyn Jones was provided with accommodations for the purposes of review. While it has not influenced her review, TravelWithMarilyn.com believes in full disclosure. All Photos by the author. 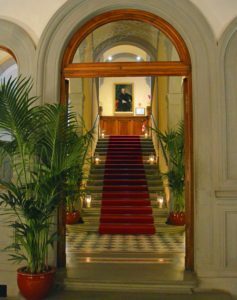 The Il Salviatino looks like it was an ideal place to begin your exploration of Florence. The views and gardens are amazing! 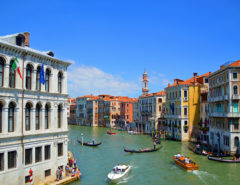 I’m hoping to one day be able to travel to Italy. It is such a beautiful and historic property!! I was fortunate to be able to stay there! 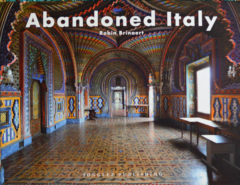 Il Salviatino looks fabulous. I love hotels in historic buildings – I’ll have to look out for this one if I go back to Florence. I was really impressed with how they kept so many elements of the original villa when they turned it into a hotel. A very pretty property! Hi Marilyn. I have only been to the train station in Florence, but have never had the pleasure of strolling the streets and enjoying everything it has to offer. 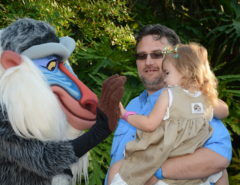 I must go back! Carve out a couple days; it’s crowded! I enjoyed exploring north of the river one day and south of the river the next! Beautiful city! What a beautiful hotel! That view from the terrace and that wonderful library would make it difficult for me to leave that’s for sure. I love to see a hotel that has so much history and continues to maintain so many original elements from the villa. 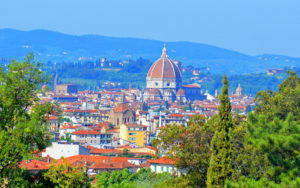 What a great spot to retire for rest after taking in all Florence has to offer. 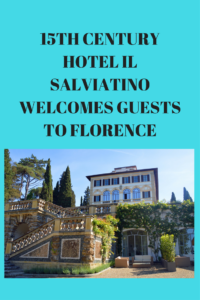 I enjoy getting away from the hustle and bustle in a beautiful spot like Il Salviatino where you won’t always feel the pull to get out and see more because the hotel is a destination in itself. You summed up my feelings about this hotel and other ones that are truly a destination all by themselves! We forget to actually relax while on vacation; I certainly was able to relax here! I simply want to mention I am just beginner to weblog and seriously loved your web-site. Probably I’m want to bookmark your site . You certainly have amazing articles and reviews. Regards for revealing your website. What a kind comment! Thank you so much! !